The way the big brands do. The more we think we know how to build a lifestyle brand, the more confusing it usually gets. What’s interesting is that this doesn’t reflect badly on us – it’s just a matter of the industry showering us with wrong information. What we’re used to thinking of as lifestyle branding is merely fancy food photos, snaps from vacations on rented yachts and maybe a post bragging about all of our achievements. 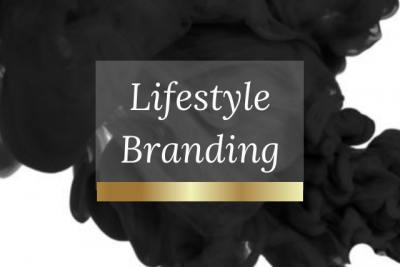 The truth is, lifestyle branding is not about showing your face all over your business or about snapping photos of your food or luxurious lifestyle either. In other words, despite its name, it doesn’t have anything to do with showing how you live your life. If your business is centered on a personal brand, then that definitely plays a part in it, however, most successful lifestyle brands are not personal brands. They’re not based on any human being. Some of the most successful lifestyle brands are Ralph Lauren’s Polo brand and, of course, Apple. Many brands, like McDonalds, have tried to go there, but have failed because they’re missing one of the essential attributes. About 13 years ago, Mcdonalds falsely proclaimed itself a lifestyle brand and faced a lot of backlash for it. Their strategy was to change its employees’ uniforms and hire a few pop stars as part of their influencer marketing initiatives. The reason this backfired was that they completely neglected their messaging and their value attributes which are, to this day, unclear to me (and many others). If your business came to life because of your personal brand, as is the case with me, it sometimes seems so obvious to us that showing our lifestyles is a great thing, when the truth is very different. Do it the wrong way and you can severely damage your brand authority. It can go one of two ways – you either stop being inspirational because you’re not in a place where showing your lifestyle builds any authority, or you start being seen as arrogant and with nothing better to do than take photos and share them on Instagram. Through my work, I’ve discovered 5 brand attributes that are necessary to build a lifestyle brand and often act as the foundation for it. Lifestyle brands often manage to fulfill consumers’ notion of where they’re headed or where they want to go. They’re reminded of their massive potential and of what sets them apart from everyone else trying to accomplish the same thing. They see themselves in the brand, if it’s a personal brand, or they see themselves using the product/service. (e.g. traveling first class, buying a Porsche, staying in Hard Rock hotel). If you’re running a business based on your personal brand, the way to achieve that is to enable your followers/potential clients to self-identify with your brand. All lifestyle brands have one powerful thing in common: their set of core values is very clearly visible through their content and product/service offerings. Remember, we all search for content that reinforces what we already believe in. The values your business was built upon are the number one reason people connect to it – and the reason they buy from you. Lifestyle brands are built on purpose and shared values. Most entrepreneurs think that churning out content on a consistent basis is enough to build a powerful brand. The good news is – it’s a part of it, and if you’ve mastered consistency, you’re already three steps ahead. The bad news is that there’s a lot more to it. You need to understand we live in an era of consumer sovereignty – it’s not up to you what products and services you create – it’s up to them. S, how do you know what they want? It’s simple – you ask. One of the questions I ask on my quarterly brand audit survey is “What products/services would you like to see from me next?” The answers to this always tell me what I should be launching next. This is not optional – you must enable them to be part of your brand journey by engaging in conversations, asking them to contribute and crafting opportunities for user-generated content. Our need to feel competent is the basic tendency on which self-esteem and self-confidence are based. Remember the last brand attribute? See, in environments where you’ve managed to foster co-creation activities, make sure you give people the opportunity to feel competent. For example, through my social media content, I love asking people what they do, how they do it and what their biggest achievement is. Ever wondered why everybody’s so fast to comment on that? It’s not just because we love talking about ourselves, but because we have a basic need to feel competent. There’s no denying it – it often drives our behavior. So, give your audience a stage – and see this need in action. It will just bring them closer to your brand because of the gratitude they feel towards you for providing them this opportunity. Not to mention, now they connect you to the positive feeling of pride flowing through them. Relatedness is our need to feel connected – to feel like we belong. This is also one of the biggest pain points marketers use to target their ideal clients. A lot of my BBS members join my inner circle because they want to belong to a group – a family of other business owners who are always there for support. The feeling of belonging is so fundamental to the experience of being human that we seek it out every day. What’s fascinating is that we often find it in our favorite brands. A sense of belonging is achieved by building a community – but how do we do that? It’s an aspect of growing your business I like to talk about often – and here’s the shortest explanation: when your core message triggers a specific social identity, people start aligning with your brand for a sense of belonging and connectedness. You need a unified place where they can hang out, where you enable them to connect with each other and not just your brand. Think of yourself as the mediator. Desislava Dobreva is an award-winning Brand Strategist, TEDx speaker and a social media influencer with an audience of over 100,000 people. She helps businesses build and scale brands that are powerful, profitable and popular with her unique methodologies and techniques. Desislava is recognized for her unconventional approach to branding because she dives deep into the psychology and neuroscience behind building a successful business and holds monthly trainings on the topic. Because her expertise is transferable to every industry, she has worked with both global brands and small businesses- from service-based entrepreneurs and e-commerce shops to restaurants and tech startups. She also sponsors and supports multiple organizations in the battles against animal cruelty and cyber bullying.